The only good thing about oil spills is that they are extremely rare. In fact, there has only been one recorded deep-water ocean spill. But their rarity presents its own problems when it comes to choosing how to react to them. 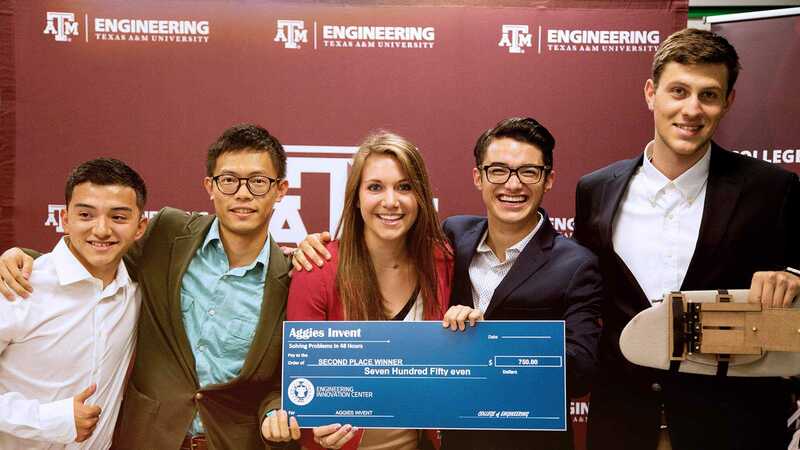 That’s why research done at Texas A&M University to create stronger prediction models will play a critical role in assessing the pros and cons of tactics used in future spills. The Texas A&M Oilspill Calculator (TAMOC) model developed by Dr. Scott Socolofsky, professor in the Zachry Department of Civil Engineering, and his team is being used by the U.S. National Oceanographic and Atmospheric Administration (NOAA) in its oil spill model GNOME (General NOAA Operational Modeling Environment). The severity of an oil spill's impact depends on the amount and source of oil, what courses of action responders choose and the physical properties of the oil. With the Texas A&M Oilspill Calculator we are able to demonstrate the best choices for a blowout model and help to improve model prediction. Better predictions will save resources during the next major subsea blowout by helping to direct the response. The presence of oil in the ocean affects surface and subsurface organisms and resources linked in a complex way, including humans. Damages include that which we see directly impacting wildlife, such as coating birds or mammals with a layer of oil, and the toxicity of the oil itself, which may be poisonous at high enough concentrations. 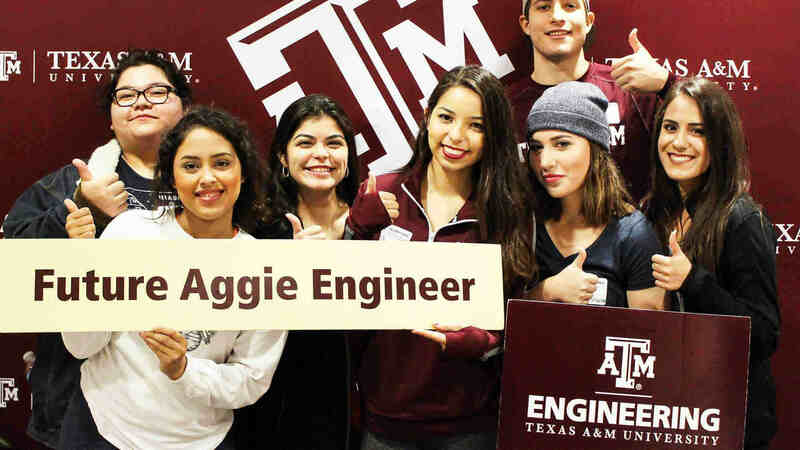 Oil spill research at Texas A&M seeks to mitigate the effects of future spills, predict the hazard conditions under future spill scenarios and help with decision support in future spills for the response effort. It takes into consideration the solubility of oil, something previously ignored in past models, which allows for different predictions of impact on the ecosystem. A blowout occurs any time an operator loses control of the flow rate in an oil well pipeline. Blowouts are most likely to occur during drilling of a new oil well since less is known at that time about the characteristics of the oil reservoir. Only in extreme cases do blowouts result in oil spills, as occurred during the Deepwater Horizon accident. 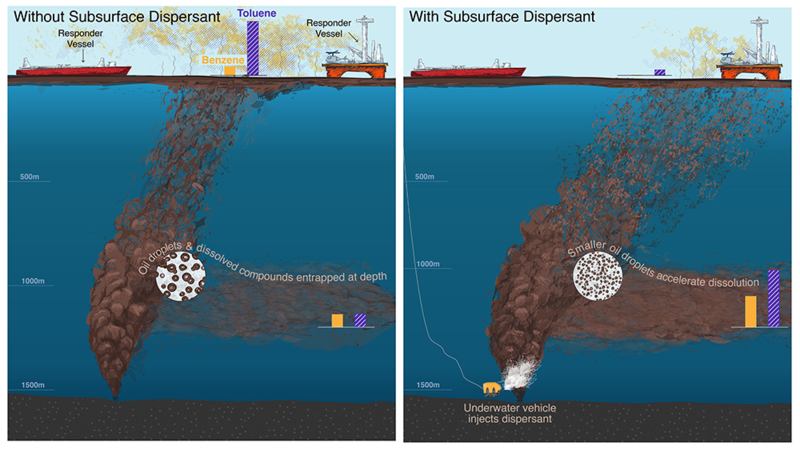 An example of how this model can be used is to determine the impact of subsea dispersants. During Deepwater Horizon, dispersants were used resulting in a debate that still continues about how much measurable impact they had, and whether that impact was worth the potential adverse effects on the environment. When considering trade-offs, Socolofsky said to remember that an oil spill is already a bad event for the environment, so any decision really comes down to mitigating these effects. The choice to use dispersants is made whenever they will reduce exposure of toxic oil compounds to people. People usually encounter oil through fumes in the air, oil on the coast or oil on the sea surface. Subsea dispersant injection aims to reduce oil residue in the air, coast and surface by allowing more of it to be dissolved into the ocean. The National Academies of Sciences and Engineering are still looking into the topic, and Socolofsky has been called in as an expert. However, how best to use or not use dispersants was never his goal. Socolofsky just set out to make the best model for these types of spills. The adoption of the TAMOC model by government and industry earned Socolofsky a College of Engineering Research Impact Award this year. The team is also now working with NOAA to predict what might happen for an accidental blowout in the Arctic.